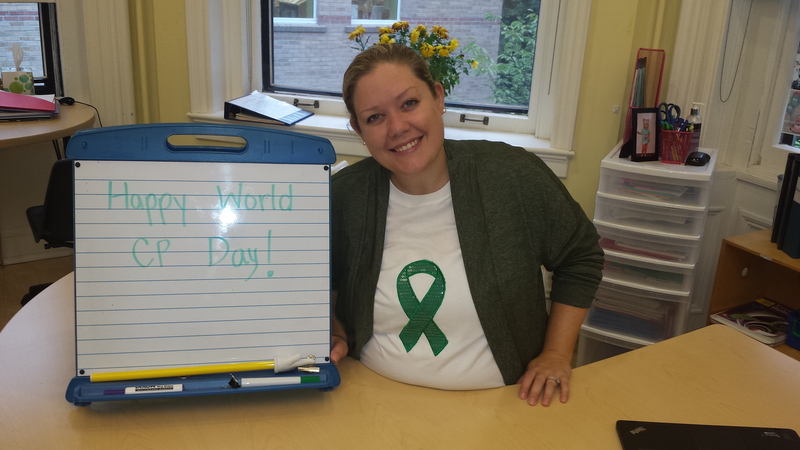 Day 230: Happy World CP Day! 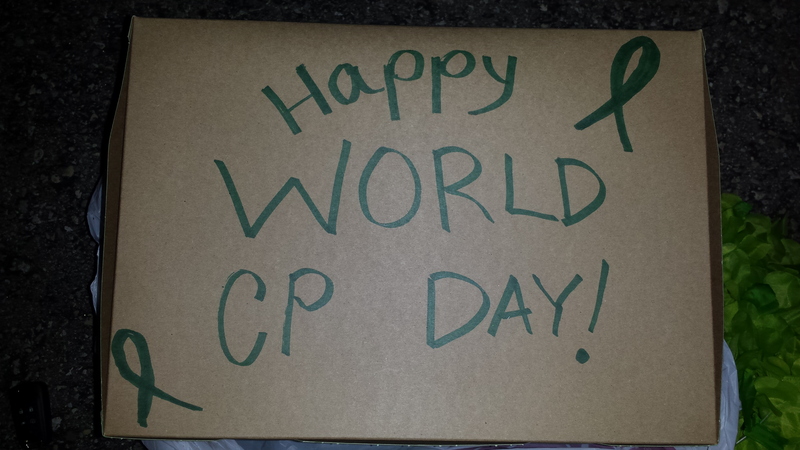 Today is World CP Day! People all over the world spent the day spreading awareness and celebrating the lives of people with CP. 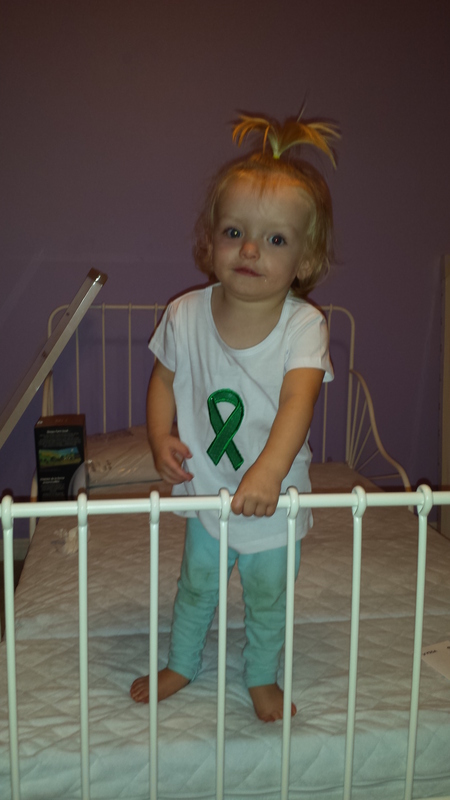 This is Madison’s first World CP day as this time last year she was not diagnosed. 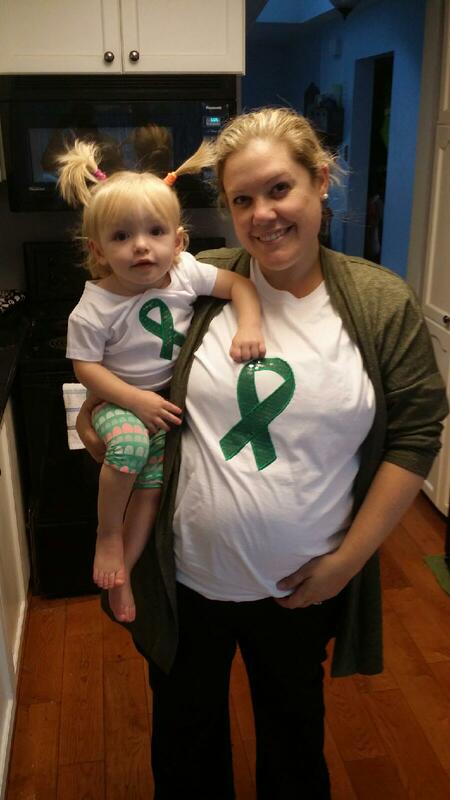 October 21st 2014 was Madison’s official diagnosis date. Madison spent her day celebrating with her friends at school. 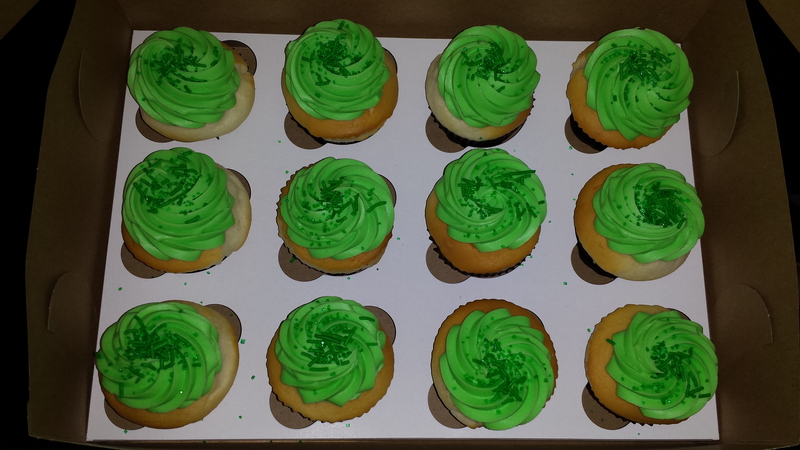 She took in green cupcakes and wore green to spread her own awareness and joy. After school Madison spent her afternoon with Janine and Suzanne having lunch and going to March of Dimes for her conductive ed class. She worked really hard and attempted walking with the 2 cane walkers. She then spent her night in the dark as the power went out so no leafs game watching for her. Happy CP Day to all of our new friends and family in our awsome little community that we are so proud to be a part of!